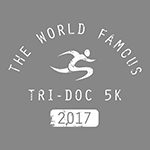 AUSTIN, Texas, January 22, 2018 — Goals were achieved and hundreds of PRs were earned at the 24th annual 3M Half Marathon on Sunday, January 21st. 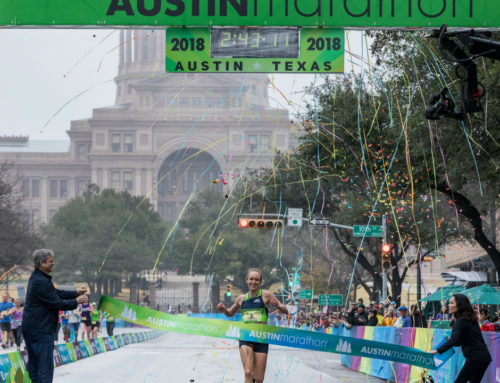 More than 7000 participants registered, the most in event history, for the standalone half marathon, coming to Austin from 47 states and 19 countries. Thousands of spectators lined the streets of Austin, cheering on runners and ensuring this special day will be remembered by all, including Laurie Allen, 9-time IRONMAN finisher, who finished her first half marathon on a hand cycle in 2:29:59 (after an accident in 2015 rendered her a quadriplegic). Syracuse alumnus Joey Whelan (1:09:06) crossed the finish line first. Bryan Morton (1:10:13) and Mike Kurvach (1:12:24) completed the overall men’s field, respectively. The male Master’s finishing in the top three consisted of: Matt McCurdy (1:14:19), Adam Reiser (1:16:49), Kevin Kimbell (1:16:55). The 3M Half Marathon would like to thank the volunteers, spectators and participants who made the race so special. They would also like to thank 3M and Director Mark Holmstrom, Girlstart and Deputy Director Julie Shannan, H-E-B, Under Armour, Clif Bar, nuun, Heavenly Care Moving, Dole, Medicine in Motion, Oskar Blues Brewery, Ben Phillips – Engel & Völkers Austin, and Austin Massage Company.